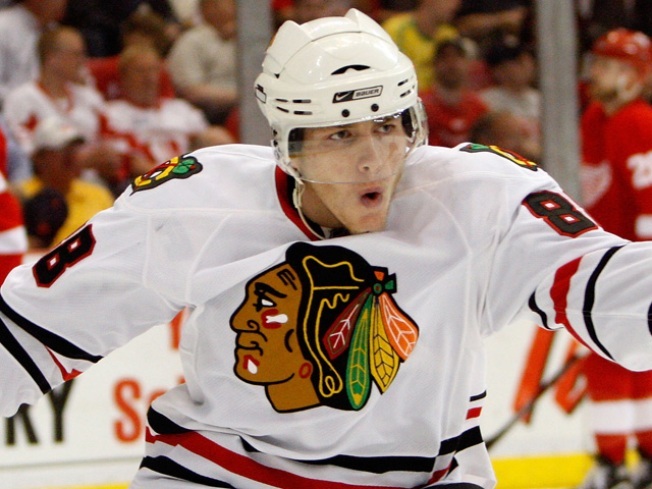 Patrick Kane will avoid jail time. 'Hawks forward Patrick Kane won't do time for his cabbie beat down crime. Kane and his cousin James cut a deal in which they would plead to misemeanor disorderly conduct charges to avoid jail time. The pair has been ordered to write a letter of apology to cabbie Jan Radecki, and to stay out of trouble for a year. "Obviously I want to apologize to my family, the city of Buffalo, my team, the whole Blackhawks organization, obviously all the fans out there, my fans especially, just for being in a regrettable situation," Kane said. "But it's behind me. It's time to move on." Accompanied by his parents, Kane took no questions from reporters, stopping only to deliver his statement as he left the courthouse in his hometown. In court, defense lawyer Paul Cambria said Kane is a law-abiding person and outstanding athlete. "He desires to be a tremendous role model and I believe that he is," Cambria said. Radecki told police the cousins attacked him Aug. 9 when he said he didn't have 20 cents in change for their fare. The driver had bruises and broken glasses. The Kanes were indicted Aug. 19 on misdemeanor charges of assault and theft of services and harassment, a violation. A grand jury dismissed a more serious felony assault charge. Buffalo City Judge Thomas Amodeo told the Kanes, "With all the other alternatives you had to deal with the situation, it wasn't a smart move." Amodeo could have sentenced the Kanes to as many as 15 days in jail and a $250 fine. Patrick Kane was the No. 1 pick in the 2007 draft and the NHL's rookie of the year in 2008.